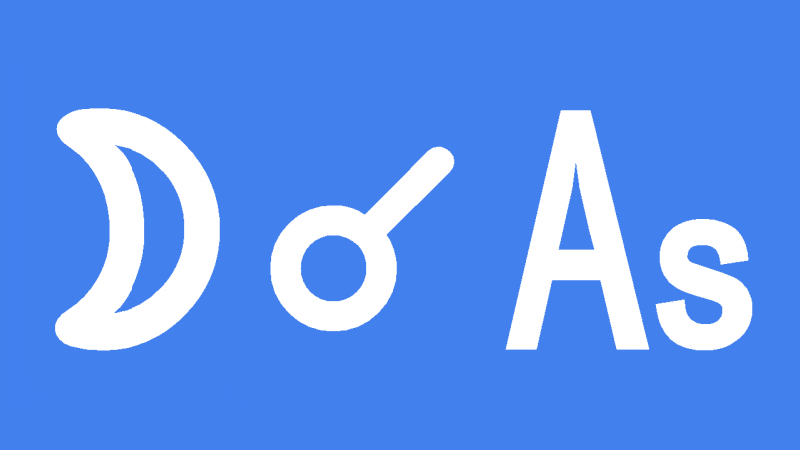 Moon conjunct Ascendant in the natal chart makes you a sensitive, caring and emotional person. You do not hide your true feelings but do not make a point of showing them off either. You are a private person who does not seek the limelight. However, you do have public appeal and should enjoy popularity among friends. You would probably have difficulty hiding your emotions anyway, as showing your true self is a subconscious action. You also interact with others automatically, by habit at the emotional level. Your relationship skills were probably conditioned at an early age by your family, usually most strongly by your mother or a female carer. Family is an important part of your life and you have the right temperate and skills for parenting. Throughout your life you will attract many women and enjoy their company. In your relationships with men you may prefer sensitive types. On the other hand, you may find that a more dominant type alpha male compliments your emotional nature to form a successful partnership. People like how you share your emotions because they know you are being honest. You do form close emotional bonds and intuitively know how others feel. You have a lot of sympathy and empathy for others because of your nurturing, maternal nature. Others also appreciate this and will repay your kindness. However, take care not to give too much of yourself or let others mistake your kindness for a weakness. One last thing to watch out for is a tendency to become emotionally demanding of others. Not everyone can sustain your level of emotional support. Transiting Moon conjunct Ascendant makes you more sensitive to your own feelings and the feelings of others. Heightened emotions and intuition enrich your intimate relationships and attract new people, especially women or sensitive, caring men. They will appreciate how you share your emotions and genuinely care about their feelings and general well-being. You will likely feel homely but will also enjoy a good public image and popularity. You can sense the mood of a group and connect with them and unify them behind a cause. People will appreciate your honesty, empathy and emotional support and return it as favors or compliments. Dealing with women in particular is very beneficial to you. If this be a moon phase, especially an eclipse, there is a good chance of forming a significant new relationship. This interpretation for Moon conjunct Ascendant transit applies to a lunar eclipse and full moon conjunct Ascendant. Lady Helen Taylor 0°15′, Bernadette Peters 0°19′, Lewis Carroll 0°21′, Farrah Fawcett 0°24′, Jack Kerouac 0°28′, Charles Chaplin 0°45′, Karen Silkwood 1°12′, Dionne Warwick 1°46′, Garry Kasparov 2°00′, Chris Evert 2°05′, Queen Victoria 2°18′, Martina Navratilova 2°′19, George Harrison 2°49′. Finally I hear an accuracy of this aspect!!! This is me, thank you Jamie! In approaching 70 this year and have only heard the more negative. This is me. I care…yes maybe too much. Cheers. Wow, thank you Penelope. That is the best feedback I could wish for. I thought this was a very accurate reading! Thank you so much! Blessings! Yup, I think you did. ???? Good point at the end, Jamie. I’m trying not to expect too much from kids…emotionally speaking. Astrology helps, doesn’t it!! Moon conjunct ascendant also indicates a person who has a bit of a childlike quality all their life and that the family or Mother figures prominently throughout their life. The aspects and sign determine the characteristics and if the moon is afflicted then early life could have been difficult with family separations, serious losses or upheavals. It seems like the ascendant affects the whole life in regards to others in close but broken ties. I find that the Moon can often signify one’s whole fortune throughout their life.